DJ Miguel is a high-energy interactive Wedding DJ - Entertainer - Percussionist . He has a troupe of Dancers available with stadium style Rockin’ Hip Poppin’ Motivating Music. Miguel brings Vegas style showmanship to your event, and his reputation as a non-stop party machine make him one of the most popular DJ/Emcees in California. 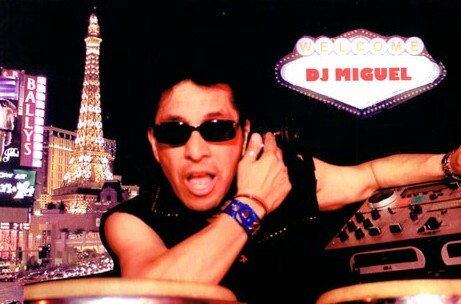 DJ Miguel can bring the fun to your wedding celebration...call us today to inquire about his availability.